The prompt this week is "Share one of your favorite photos & the story behind it!" Which is both fun and difficult for me, because I LOVE pictures... I have hundreds of favorites! How sweet, that he couldn't wait until you were standing across from each other to say your vows to express his love for you!! Love that! What a wonderful thing to do the day of your wedding. Props to your hubby for being so thoughtful! Lovely photo! Aww! How cute! I love that you have a picture of that exact moment when you were reading the card! Visiting from the linkup. Such a sweet moment and what a wonderful thing to have it captured forever! I also love your description of your "feet itching" to get to the end of the aisle! What a sweet moment!! 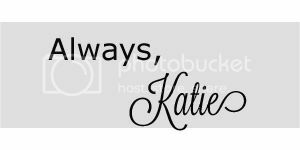 I LOVE this, Katie!! SO sweet!! 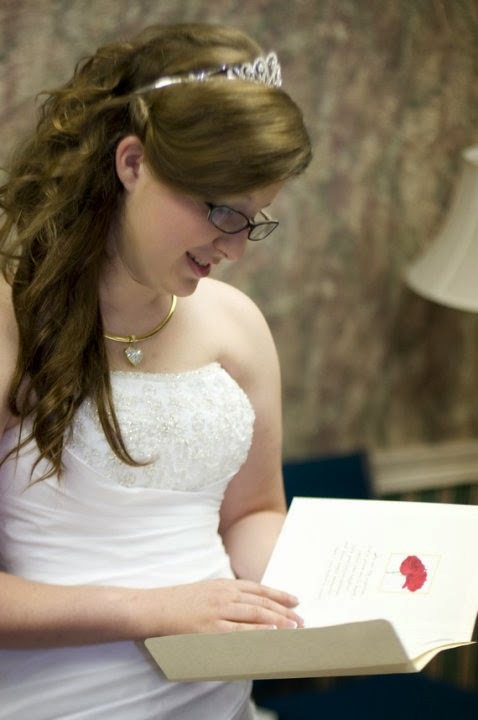 I wrote a letter to my husband on our wedding day and he says he really cherishes the memory of reading it! Thanks for sharing, Katie!